We do chiropractic a little bit differently. We took a good look at chiropractic from your point of view. We came to the realization that most of you want 4 simple things from your doctor of chiropractic and we plan on delivering them to you. A competent Doctor of Chiropractic who takes the time to understand your problems and needs. A Chiropractor that can get you out of pain quickly. A comfortable facility that is extremely convenient. Last but not least, affordable pricing to fit your budget. As insurance deductibles and copays increase and allowed visits decrease, it usually makes more sense to use our services compared to a traditional chiropractic office. 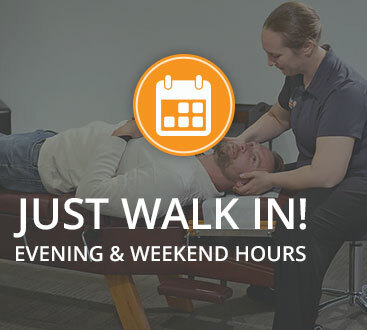 Stop in and get your first adjustment with us for just $29. 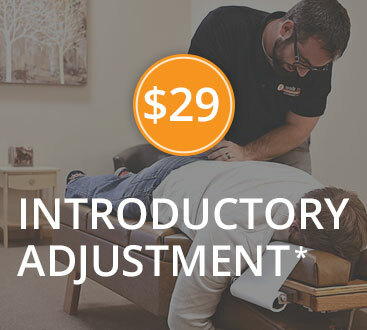 This price includes consultation, exam, and your first adjustment. This wellness membership includes 4 adjustments each month for you to use. Additional visits are just $19 each. by joining our wellness membership!